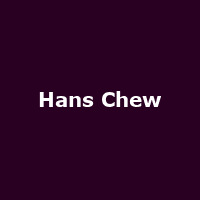 Hans Chew is an American pianist from Tennessee, a founder member of the psychedelic-country band, D. Charles Speer & the Helix. He has worked with the likes of Jack Rose, Steve Gunn and Hiss Golden Messenger. He released his debut album, "Tennessee & Other Stories..." in 2010, followed by: "Life & Love" (2014) and 2016's: "Unknown Sire".